Looking for a private, gated, ski and golf community? Look no further! 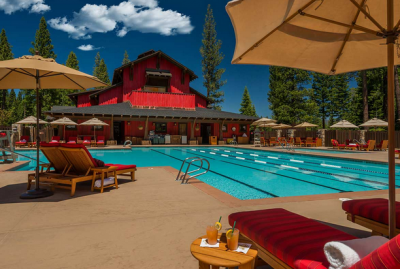 Martis Camp Club opened in 2006, and is 2,177 acre community. This neighborhood offers outdoor recreation, world-class amenities and the ultimate place to build a family legacy in North Lake Tahoe. There is exclusive access to Northstar-At Tahoe with the Martis Camp Express chair lift and the “Lookout Lodge”. The “Family-Barn” has bowling lanes, a swimming pool and a theater. Also there is the masterpiece Camp Lodge that is over 50,000 square feet of fine and casual dining, exercise facilities, mens and ladies clubs for the golf course and more. Additional access to Tahoe with the Lake Tahoe “Beach Shack” is another fantastic bonus that has been added.